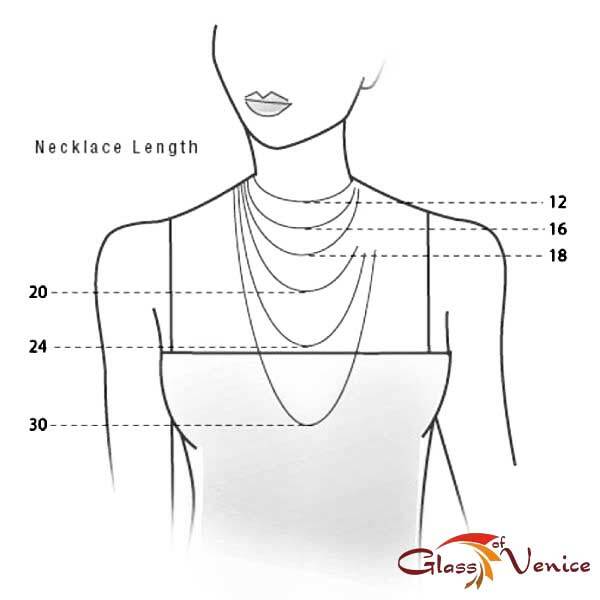 Unique jewelry is all the rage, and this Murano Necklace is an easy choice for women who want to stand out. 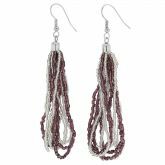 Strands of shimmering Murano seed beads intertwine gracefully and create an elegant look that turns heads wherever you go. The play of light and color and gorgeous tender hues make this Murano Glass beauty a memorable gift for any woman who would love to keep a piece of Venice in her life. 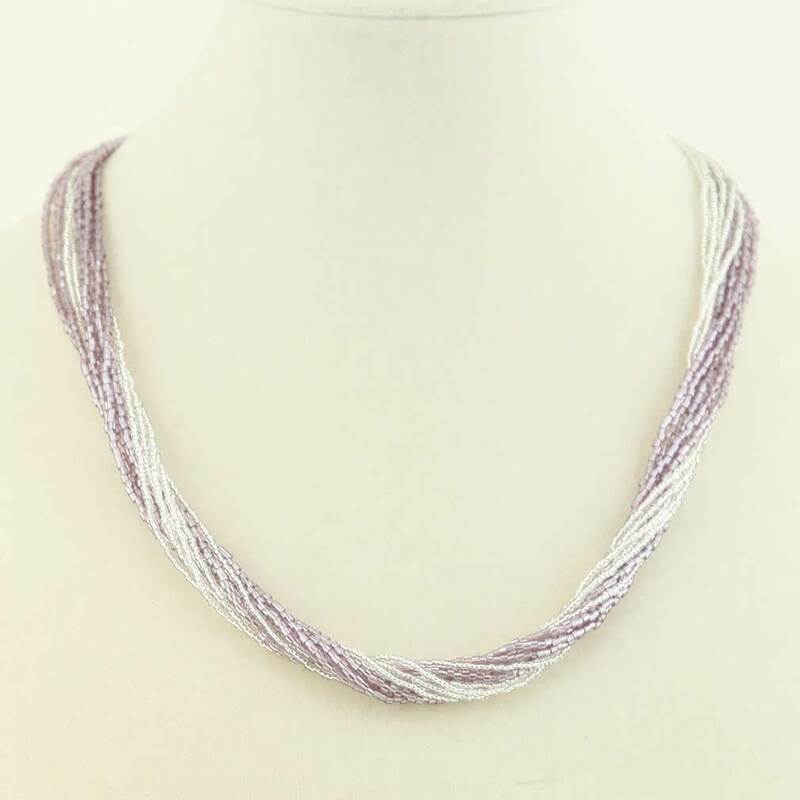 Twist the necklace gently by turning its ends in opposite directions for even more sparkle and drama. Murano's ancient tradition of seed bead making for jewelry and clothing decoration started centuries ago. In early 20th century a visitor to Venice could see many Venetian women seating on the street corners, chatting, watching their kids, and beading. Today this tradition continues with the most coveted fashion brands in the world using seed beads to decorate their exclusive creations. 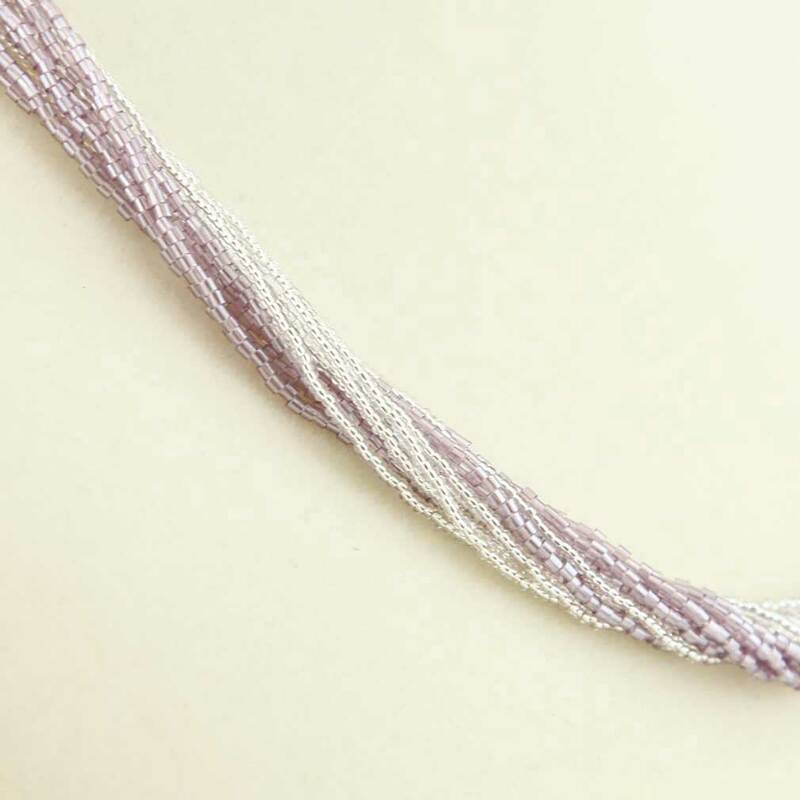 We also recommend the matching Gloriosa 12 Strand Bracelet to complete the look. 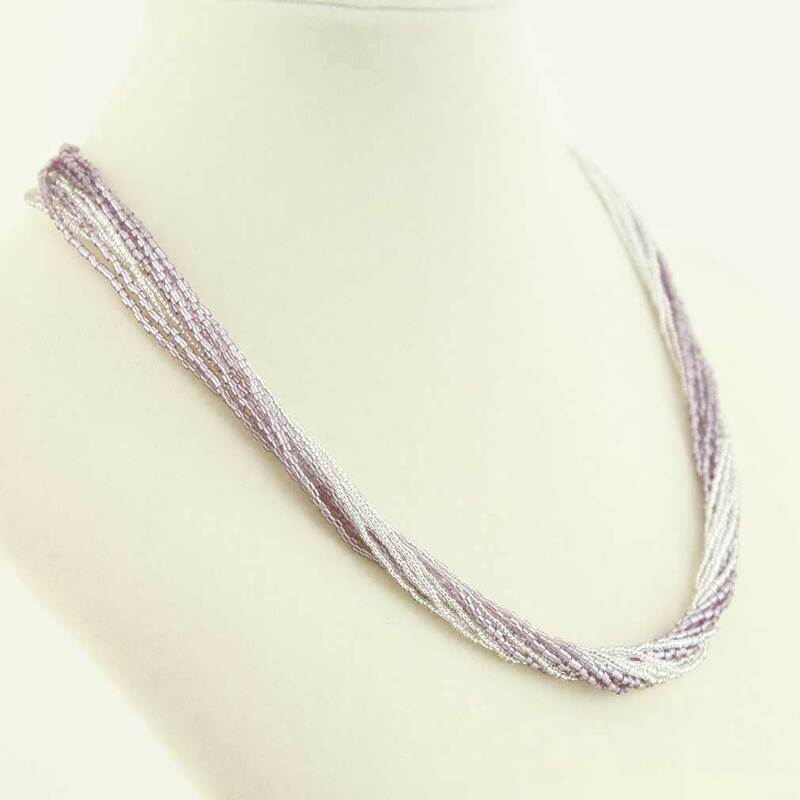 Measurements: The necklace has 12 strands of seed beads (6 silver and 6 amethyst ones) and measures 20 inches in length. 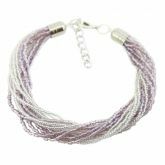 This Murano Seed Bead Necklace comes with the velvet pouch and the certificate of authenticity. Infusing silver leaf in Murano Glass has been one of the secrets of Venetian glass-makers for centuries, allowing them to create luminous beautiful glass pieces that shimmer and glow from within. More recently Murano artisans have been creating jewelry with Murano Glass beads lined with silver leaf. To create each bead the master wraps a very thin layer of genuine silver leaf around the glass base under a flame, and then puts a layer of clear or colored glass on top. The silver-lined Murano Glass bead is then put into a special annealing camera, after which it is ready to be strung onto a necklace, a bracelet, or used to create earrings, or another jewelry piece. Enjoy your Murano Glass jewelry creation, knowing that every bead was carefully handmade by talented Murano Glass artisans in Venice, Italy.